Who are the 12 Catalan leaders facing years in prison? Home Uncategorized Who are the 12 Catalan leaders facing years in prison? More than a year has passed since Catalonia’s regional parliament voted to declare independence from Spain following a contested referendum that saw Spanish police violently disperse Catalan voters. Since then, pro-independence Catalan politicians and activists have been held in pre-trial detention on charges of rebellion, disobedience, and embezzlement of public funds for their alleged roles in the referendum and subsequent declaration of independence from Spain. Others, such as former Catalan president Carles Puigdemont, have fled Spain to avoid charges and lobby for Catalonia’s independence in the European Union. Twelve defendants will stand trial on Tuesday before the Spanish Supreme Court for their alleged roles in the events leading to the October 2017 declaration. The defendants face a combined total of roughly 200 years if they are given maximum sentences. According to court filings, their attorneys intend to claim the Catalan separatists are being prosecuted for their political beliefs, such as Catalan nationalism, and the act of voting. The majority of the politicians to stand trial come from two political parties: the left-wing Catalan Republican Left (ERC) and the centrist European Democratic Catalan Party (PDeCAT). Leaders of the Catalan National Assembly (ANC) and Omnium Cultural (OC) – two pro-independence civil society organisations – will also stand trial. 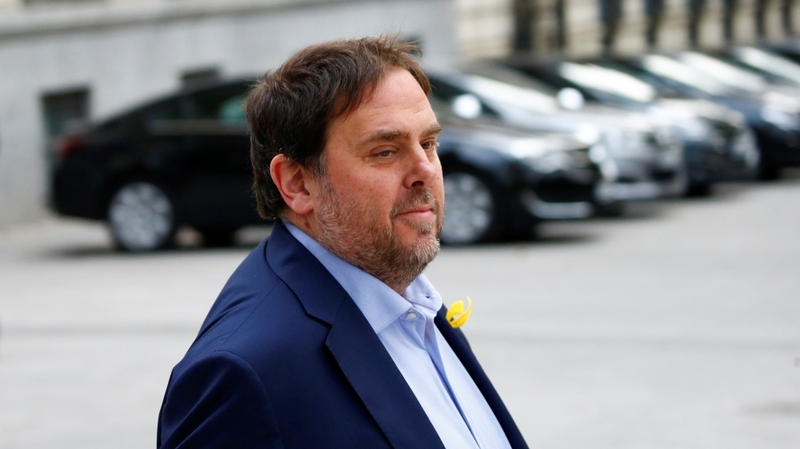 Oriol Junqueras, the former vice president, is the highest-ranking member of the former government to stand trial before the Spanish high court. He faces charges of rebellion and embezzlement and is accused of understanding the “grave risk” of violence related to the referendum, but pushing forward anyway. Junqueras, a former history teacher, mayor, and member of the European Parliament still heads the ERC from prison, giving him considerable politic sway in national Spanish politics. Junqueras told Politico in an interview he will “only consider acquittal” and will not ask for a pardon if found guilty. The Spanish attorney general (AG) is asking for 25 years’ imprisonment, while the solicitor general (SG) demanded 12 years. Forn, the former Catalan minister of the interior, who oversaw carrying out the AG’s orders in Catalonia, is also charged with rebellion and embezzlement. His indictment also states he understood the risk of violence related to the referendum but chose to go forward regardless. Forn has a long political history in Barcelona, serving as a member of the city’s municipal council since 1999 and first deputy mayor from 2011-2015. The AG has asked for 16 years, while the SG asked 11. The two “Jordis” are pro-independence civil society leaders – Sanchez of ANC and Cuixart of OC. The two men helped organised large pro-independence protests in the days before the October 1, 2017 referendum and are charged with sedition and rebellion. 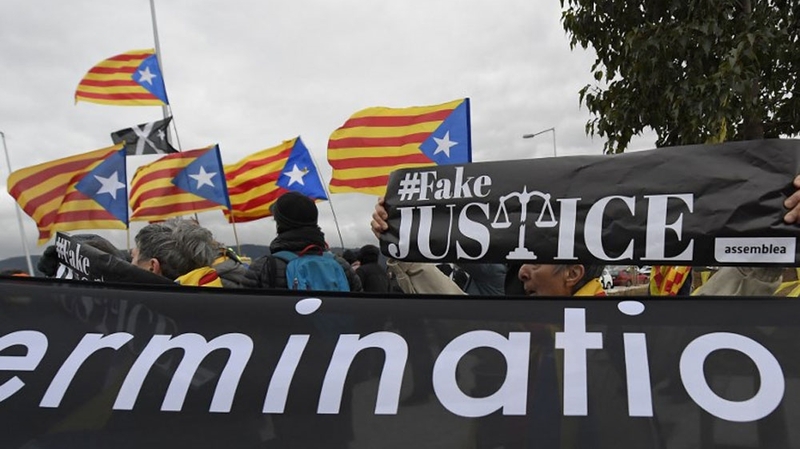 They were originally accused of sedition by the AG in September, and the imprisonment of the two was ordered on October 16, 2017 by Spanish judge Carmen Lamela. They faced accusations of encouraging violence against Spanish national police during the protests, but numerous media outlets have published a video of the two men climbing atop a car to ask demonstrators to remain peaceful. Rights groups, including Amnesty International, have asked for their release. The AG has asked for 17 in prison for both, while the SG asked for eight years. Carme Forcadell, the former president of the Catalan parliament, was charged with rebellion and accused of voting for independence ahead of the declaration of independence. She was accused of “medullary” involvement as former president of ANC, a position she held from 2012-15. The AG has asked her to be sentenced for 17 years, while the SG asked for 10. Romeva, a Catalan politician, former MEP, economist and analyst, was the head of foreign affairs under Puigdemont. Llarena accused Romeva of trying to create a the “structures of a [Catalan] state” independent from Spain and of trying to promote the acceptance of a Catalan state in his role as charge of foreign affairs. Romeva told Reuters news agency the imprisoned “see the trial as an opportunity to address public opinion and society in Catalonia, Spain and obviously at an international level”. The AG has asked he serve 16 years, while the SG asked for 11. Bassa is an educator and trade unionist who began her political career in 2007. She was elected to the Catalan’s parliament in 2015 and served as the counselor of labour, social affairs and families under Puigdemont. Bassa was charged with rebellion and embezzlement for using her ministry to assume part of the costs related to the independence referendum. The SG asked for 16 years, while the SG asked for 11. Mundo, a lawyer, ex-counselor of justice under Puigdemont and ERC member was imprisoned along with Junqueras in November 2017 following the independence declaration. He was charged with embezzlement and disobedience. He was released on bail in December 2017 after winning re-election in the regional vote called by the Spanish government. Mundo made a surprise announcement that he was leaving politics in January 2018, shortly after he was freed. Both the AG and SG asked for seven years’ imprisonment. Turull, a lawyer and PDeCAT member whose political career began in 1987, had been a deputy in the Catalan parliament since 2004 when he was chosen as the counselor and spokesman of the presidency by Puigdemont in 2017. He is charged with rebellion and embezzlement. Llarena accused Turull of propelling mobilisations in favour of the referendum and designing and managing the referendum’s advertising. The AG asked for 16 years, while the SG asked for 11 years. Rull, a PDeCAT member and parliamentarian for 20 years, was the Counselor of Territory and Sustainability under Puigdemont. He was charged with rebellion and embezzlement. 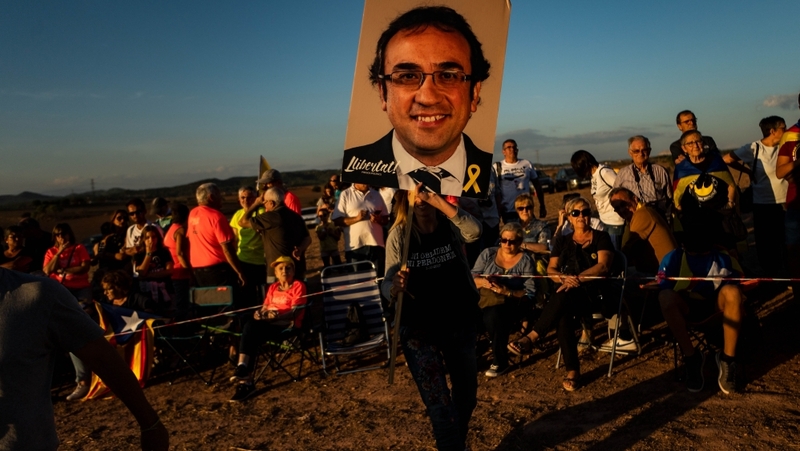 Rull was accused of playing a “significant” role in the independence movement since 2015, as well as stopping Spanish national police from carrying out efforts to stop the independence referendum. He has been in pre-trial detention since March 2018. The AG asked for 16 years, while the SG asked 11. Borras is a prominent figure in Catalan politics. She has been active in local politics since 1995 and is the daughter of Jacint Borras, one of the founders of the defunct pro-independence Democratic Convergence of Catalonia (CDC). Borras, who was the Counselor of Government and Institutional Relations under Puigdemont, has been charged with disobedience and embezzlement. Both the AG and SG have asked for 7 years. Vila was a long-time member of CDC and subsequently PDeCAT. He was the Counselor of Business and Culture at the time of the independence referendum and has been charged with embezzlement and disobedience in relation to his alleged involvement. Vila paid a 50,000 euro ($57,000) bail in November 2017. He resigned from PDeCAT in June 2018. Both the AG and SG have asked for 7 years. Previous articleWatch Scottish Cup: Ross County 0-0 Inverness CT – Who will prevail in Highland derby?